If you've read my blog for any amount of time, you will know that I am a massive fan of Omorovicza. The products just fit perfectly with my dry and quite reactive skin. I am always excited by their new releases but I was almost hesitant about their new Daily Vitamin C Serum. Why? Because, although I love the brightening effects of Vitamin C products on my skin, I find that using them any more than 1-2 times weekly can cause my skin to become inflamed but best results are achieved through consistent use. This serum is intended for daily use so I really did wonder how my skin would cope! 8 weeks later, I want to share my thoughts with you. Vitamin C is a brilliant ingredient for brightening skin, evening skin tone, boosting skin's collagen production and, as a powerful antioxidant, it protects the skin from environmental aggressors. The problem is it can be unstable, which renders products ineffective. Omorovicza Daily Vitamin C Serum contains two types of Vitamin C: antioxidant-rich Sodium Ascobyl Phosphate (highly stable form of the vitamin) and Kiwiberry, alongside Watercress Extract, Zinc, Hyaluronic Acid, Niacinaminde and the patented ingredient, which is in all Omorovicza products - their Healing Concentrate. It is housed in a frosted glass bottle with a twist dropper dispenser. I have noticed that the pipette can get clogged quite easily but I think that is a regular occurrence if the product inside isn't watery in texture. This serum has a milky texture that absorbs quickly, leaving a slightly tacky feeling. I have found that it can pill if too many layers of product are used so it is not one to layer with another serum and, depending on the product, an essence (although it works well with Omoressence). It took me a few days to get my routine right to ensure that there wouldn't be any pilling, although I haven't heard anybody else report a problem in that regard. Because of my previous sensitivities with Vitamin C, I initially used the serum every 3rd day, then every second day and then within a fortnight, moved to weekly use. I am delighted to report that I have not had any adverse reaction to it - no signs of redness or irritation, no tingling etc. In fact, I have only seen great results. 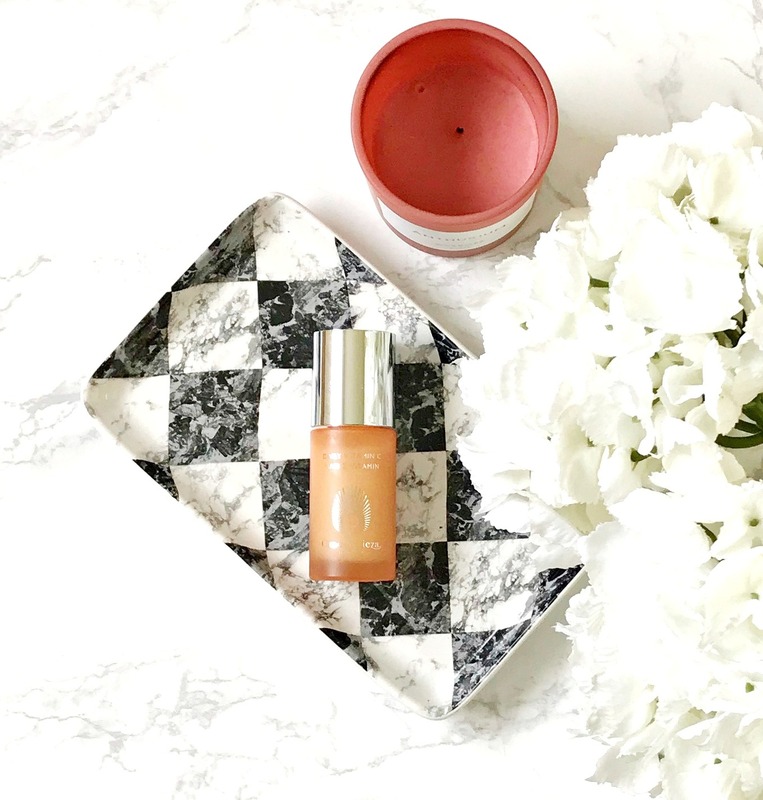 I only use it as part of my morning regime as I have other products that are specifically for night-time use, however this is designed to be used both morning and night so you can do that if you don't want to buy more than one serum. In terms of results, my skin is definitely more luminous than it was previously (it's a constant battle against dullness when you have dry skin!) and I find that it looks less inflamed (although I am taking a supplement containing turmeric so that may be partly the reason too). There have been a few times over the past months or so when my husband has said that my skin feels really soft and smooth to touch. I don't have any hyperpigmenation at the moment so I can't comment on how well it works on that but my skin is looking brighter overall, which is no mean feat when you have a chronic illness so I think it would work wonders on a person without such an affliction. I will continue to use it daily and give you my final thoughts when I finish it on Instatories, but that will probably be quite a while because only 1-2 drops are needed daily and this contains 30ml of product. I'm delighted that I finally have a Vitamin C product that I can use on a daily basis! Do you use Vitamin C in your routine? I'd love to know! All products are bought by me, unless otherwise stated. This product was kindly sent to me. Opinion is always my own. Affiliate links may be used.